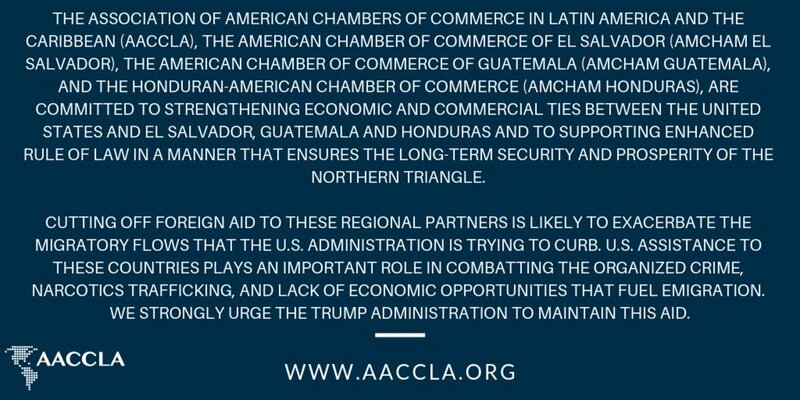 AACCLA’s 23 American Chambers of Commerce (AmChams) are independent, non-profit, business organizations based in 28 countries in Latin America and the Caribbean. Their primary objective is to promote trade and investment between their countries and the United States. Collectively, AmChams represent over 20,000 U.S. and local companies and executives managing the bulk of U.S. investment in the region. 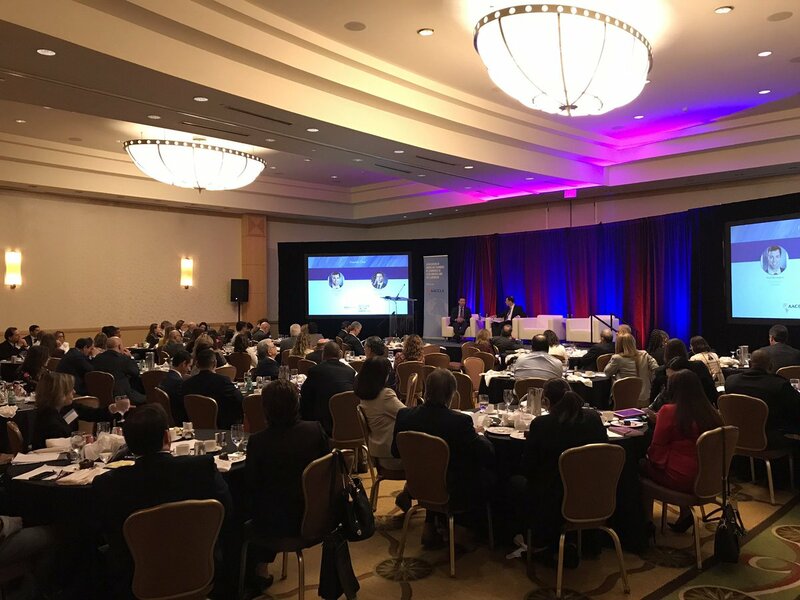 As members of AACCLA, AmChams are affiliated with the U.S. Chamber of Commerce, the largest business federation in the world. AmChams play an important role as links between the private sector and the governments in their host countries and in the United States. Their unique positioning enables them to effectively lobby for the interests and needs of their members. Their extensive experience and knowledge of doing business in the region make them a key resource for any U.S. company seeking to expand its operations into the Latin American and Caribbean markets. AmChams membership requirements may vary. For information on how to become a member, please contact the AmCham directly. -- Pick Leadership Circle Member -- Alticor Amgen Campbell's Soup Company Cargill Citi Delta Air Lines Diageo Eli Lilly FedEx Merck MetLife Millicom Pfizer TransUnion Walmart Yum!